Placebo Power is real. Dr. O. None the founder of the science of Placebology explains why placebos are a safe, effective treatment for a wide range of conditions. Ever got the craving for a hamburger late at night or miles from the nearest Maccas. Tough isn't it? Your body is craving High GI fats and sugars but you just can't get your hands on any. Agony. Or perhaps you are on a Macca-free diet for some strange reason that your body doesn't quite understand and is resisting violently. Well the answer to your dilemma could be as close as this new preparation from None. It's called Re-Tox and has all the (memory of) the animal fats, simple sugars and lot fed protein of a Big Mac without the calories. How is this possible you say? Simple. 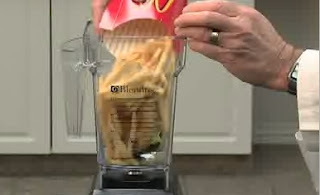 The boffins at None Labs simply blended a Big Mac and fries with a little water, strained the resulting goop to obtain an essence which was then diluted many times using classic Homeopathic techniques to produce Re-Tox, complementary medicines answer to the munchies. For those who can't stomach TABLETS. I recently gave the boffins at None Laboratories an onerous task; come up with a new style of homeopathic-based, placebo remedy that would surpass and replace all the existing preparations in the marketplace. That's right, just simply, TABLETS. No active ingredients, no fancy promises, no side-effects. After all, if a placebo works despite having nothing in it and all homeopathic preparations are guaranteed to contain no active ingredient, then why should any further info be necessary. TABLETS come in a handy glass bottle with an eye-catching red cap (my idea). 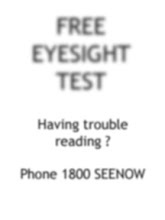 Keep some handy in case you feel like you need a tablet, because what you see is what you get. WARNING: PLEASE CHECK THE USE BY DATES ON YOUR HOMEOPATHIC PREPARATIONS. Dr. O. None reports that an in depth investigation by the boffins at None Labs, headed by his brother Prof. Zero None, has found that many homeopathic preparations in the marketplace do not have Use By dates clearly displayed on the bottle/package. "Consumers should be very careful to only take homeopathic preparations which are still within their Use By date as the recent epidemic of Aqua-dementia in several overseas counties could easily be repeated here," warned Dr. None. Homeopathic preparations are based on the incredible ability of water molecules to remember but the boffins at None Labs have shown that this ability has a time limit which varies depending on a number of factors such as the type of preparation, storage temperature and the IQ of the consumer. 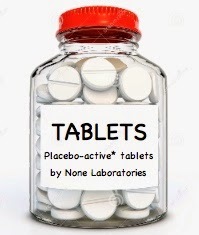 "All None Labs Placebo-active* preparations are labelled with generous Use By dates based on the well known fact that consumers of homeopathic preparations are well above average intelligence. But please consume the preparations well before the Use By if you have a sneaking suspicion that you might be stupid", said Dr None. It is not yet known if there is a link between the consumption of out of date homepathic preparations and dementia in humans. None Labs has had it's boffins in Sarawak for the last few years on the lookout for rare and exotic fruit that might be useful in supplying a cure for all manner of human ailments. They've discovered the Dabai, which resembles the olive and could probably be processed in a like manner, although this is not necessary. Dr. None intends to have specially trained bands of orangutans harvest the fruits and bring them back to a central processing plant for crushing. Like all None Labs products the Dabai extract will be diluted according to homeopathic principles to almost the composition of pure water so that the chance of any nasty side-effects will be completely negated. DABAI- it's the new Goji. The APMS (Aust. Placebo Medicine Society) has decided that for too long Placebopathy has been rather insular in its approach and in some cases somewhat dismissive of other natural therapies. This is probably why the ATMS refused an approach to merge. In order to build bridges with other therapies, the APMS recently asked None Labs to come up with some placebo medications which incorporate aspects of other therapies and within a remarkably short time they came up with PlaceboHomeoAromeotherapy, aroma therapy preparations that are so dilute that all traces of the often irritating essential oils are undetectable, even by extensive chemical analysis. That's right, these preparations are even stonger in their effect than regular aromatherapy preparations due to the homeopathic dilution process, but will not irritate sensitive noses or set off allergic reactions. More Combo Therapies are being worked on as this goes to press. Dr. None and the boffins at None Labs have been very busy lately. Ever since Placebo Power doubled the price of all None Lab remedies in order to make them more effective, Dr. None has worried that they might be out of the reach of the ordinary person. "We need a budget version of all our products," was his simple instruction to the boffins. In quick time they came up with None Labs HOME BRAND, a range of remedies that are chemically identical to their brothers and sisters sold under the Placebo Power label. Dr None explained, "Extensive testing has shown that, like all homeopathic preparations, the multiple dilution process results in a product that is pure water. We've just cut out the time consuming dilution stage to simplify the manufacturing process for our Home Brand range. I can guarantee consumers that they are chemically indistinguishable from any other homeopathic product". Now everyone can afford to share the miraculous benefits of None Laboratories products. Want a Tip in the Cup? It is with great pleasure that Placebo Power announces the release of its newest formulation- Memory Boost. Ever used the expression, when searching for the answer to a question, "the answer is on the tip of my tongue"? Well None Labs has bottled it- literally. Memory Boost is made in exactly the same way as Digitum and the well known homeopathic preparation Occillococcinum, the only difference being that instead of fingers and duck livers, Memory Boost is made with real human tongues, or just the tips to be precise. First the tongue tips are fermented for a month in a little water until they become an amorphous goo which is then strained and diluted using classic homeopathic techniques to produce Memory Boost. Nothing else is added, just water and pure tongue tips. That's right Memory Boost is preservative free. It looks like water, tastes like water but when the answer is "on the tip of my tongue" a swig of Memory Boost may just make the difference. Listen to what Jenny from Malabar says about Memory Boost," Last week I couldn't remember my PIN number and needed cash in a hurry. I took a swig of Memory Boost and the numbers 1,2,3,4 and then 8 flashed before my eyes. In seconds I had the cash and it all went on Americain (#8) in the Cup. We are now going on a tropical holiday thanks to Memory Boost. Thank you Dr. None". 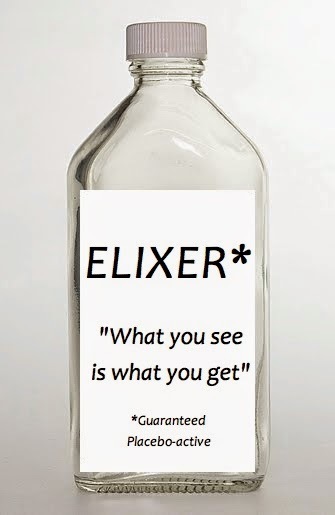 The answer is in the bottle. Now in Colours and Twice the Price. So in response we've doubled the price and added some fantastic colours to our range. Next time you order a remedy it is likely to be either Ridiculous Red, Gullible Green, unBelievable Blue or Youvegottobejoking Yellow and be outrageously expensive. Remember you can't put a price on good health. Placebo Power and None Laboratories- working towards better health care for you. None Labs has released its first 'app' for the Opad. Rather than adopt the more traditional 'me, me, me' approach, the boffins at None Labs were told to develop an app which actively disadvantages the user and benefits others instead. The result? You* (not me, me, me) the World's first truly altruistic, alternative therapy initiative. Download You* (not me, me, me) and each time you click its icon a random amount will be debited from your bank account and credited to one of the charities specially set up by Dr. None. That's right, you can actually enrich the lives of others without even thinking of them or, heaven forbid, have to witness their suffering. Get You* (not me, me, me) today. The boffins at None Labs have done the calculations and found that the Opad is in fact the world's largest computer. At 8 Zottabytes it has a capacity of almost 3 million times that of all the information stored worldwide in 2000. The amazing success of the Opad has apparently frightened the boffins at Apple into postponing the launch of their rival ipad till late April. "Based as it is on old-fashioned microchip technology, the ipad is obviously seeking to avoid a head to head confrontation with the new age technology of the Opad," said Dr. O. None, inventor of the Opad. "By the time they launch there may be no-one to buy them who doesn't already have an Opad," he added wryly. Dr. None, as President of the APMS, has written to the President of the Australian Homoeopathic Association and suggested a merger of the two organisations. This follows the findings of a UK committee of MPs which found that Homoeopathic remedies are in fact placebos and that Homoeopaths are in fact deceiving their patients every time they dispense a remedy. Since the two organisations are obviously dispensing the same product and have the same aims, the treatment of the sick and the alleviation of suffering, he has proposed a new combined APHMS which could continue to dispense placebo remedies but would still have the mystique of Homoeopathy associated with it as a bonus. "Imagine remedies with the efficacy of placebos and the old world magic of homoeopathy. What an unbelievably powerful combination in the marketplace," he said when asked about how the public might see a merged APMS and AHA. Dr. None is still to hear back from the AHA but is confident that it will be keen on some form of combined body in order to boost its flagging credibility with the public. "Perhaps they'd rather call the new organisation the AHPMS, AHPMA or AHPA. I could live with that," he said. "Our motto, Credulatum Omnia, is not negotiable though," he added. "In any event it would seem entirely appropriate to the new, merged organisation." Ever had the following conversation? "What's wrong with you, where does it hurt?" "I don't know, I just can't put my finger on it"
Well we've come up with the answer to just that problem. Just as the Homeopathic preparation Oscillococcinum is diluted, fermented duck liver and heart tissue, None Labs has developed Digitum. first take two human fingers, one from a left hand and one from a right (to maintain digital equilibrium of course- silly question) then add 1 litre of water and allow to ferment from one blue moon to the next. Strain off the decayed bits then dilute the vile liquid and decant repeatedly 500 times and hey presto- Digitum 500T is the result. Apply liberally whenever that 'just can't put a finger on it' feeling overcomes you. To be marketed under the catchy slogan 'Digitum is real Handy when you just can't put a Finger on what's wrong', we are confident that it will quickly attain a reputation at least equal to Oscillococcinum for reliability and effectiveness. Prof. Cox comments that we are definitely pointing in the right direction and gives it the big thumbs up. Many thanks. I have received my Opad and have already experienced some of the remarkable possibilities of this piece of technology, or alternative technology as it is in fact. The capacity of the water molecules to retain information (and to somehow communicate this to other water molecules anywhere….morphic resonance I think it’s called) seems to allow human thought transference to occur, not only in real time, but through spatio-temporal loops, allowing the user to experience their own thoughts before they actually think them, or thoughts they think in one place to appear somewhere else in the world, or elsewhere. This happened to me today. And what’s more, when I punched my star sign into the Opad the screen condensed into a misty vision of an Egyptian prince in the Middle Kingdom surrounded by slaves, beautiful women and the odd annoying jackal….it was clearly me in a past life. Amazing. I was an Egyptian prince! I’m now partnering my device on a holiday by the Nile in 1526 BC. Will let you know how it goes. Frantic buying at Ostores worldwide has seen the Opad outstrip iPod's first day sales record by more than 50, or perhaps even 500, to one. Recently appointed Chief Finance Officer of Ostores Inc, Mr Barnaby Joyce, said that while sales figures from some more remote stores in Mongolia and The Andes are still to come in, he expects the first day sales of Opads to be close to 5 million but that figure could actually be 5 billion or even 5 trillion, he isn't entirely sure. "I will know more accurately when I get my head around the numbers and numbers in general, " he said. Whatever the final number, the sales mean that the Opad has been an outstanding success. Meanwhile Chairman of Ostores Inc, Dr O. None has cautioned users from using their new Opads whilst driving. It is reported that many hundreds of users have been issued with fines by highway patrol police for excitedly talking, texting, emailing or astral travelling on their Opads while driving. Dr None cautions that apart from the financial slug of a hefty fine, astral travelling while driving can be quite dangerous. "If there is an unexpected break in resonance between the Opad and its partner, then the user's spirit may seek to return to a position which he/she has moved on from- ie outside the vehicle," he warned. "Until users are experienced, it is better to explore the more high-tech applications in the lounge room, rather than the car," he said. It's only a few hours since the Auckland Ostore opened it's doors but already the Opad is a tearaway success. Thousands of excited Kiwis crammed through the doors at 9am NZ time and swamped sales staff with orders for their personal Opad. The first group of customers has just completed the partnering session and have excitedly left the building to explore a whole new world; a world where everything is known and nothing is new- as long as you have an Opad. Introducing the HomeOpad or Opad*, the World's first truly intuitive, interactive personal organiser, mobile phone and pocket guru. Available Monday 15th February at all Ostores. 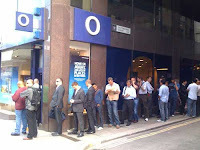 Queues are already forming outside Ostores worldwide as devotees of None Laboratories’ products anxiously await next week’s launch of its latest creation, the incredible HomeOpad or Opad as the company affectionately calls it. Based on the ability of water molecules to absorb and retain information, the Opad is billed as a combination of a mobile phone, pocket organizer, personal computer and time machine. The company says the device promises to revolutionize the way we interact with our environment and each other. Founder of None Laboratories, Dr. O. None says the Opad is the company’s most exciting discovery yet. “Imagine being able to see the future unfold or relive a past-life on the screen in front of you and share that experience in real time with others. Well that’s exactly what Opad will allow you to do,” he boasts. He explained that once an Opad owner has achieved what he terms “HomeOstasis” with his/her Opad, they are bonded for life. Opad will then automatically tune in, via the water molecules in its owner’s body, to the activities of its owner or ‘partner’, as the company likes to call its consumers. “Imagine being able to see yourself being hit by a runaway bus as you approach a pedestrian crossing and being able to avoid that fate by stopping and waiting till the bus harmlessly passes before crossing the road,” says Dr. None. Critics claim that Opad is “just a bottle of water with a cheap sticker on the front designed to give the appearance of a scientific device” but Dr. None rejects these criticisms as the "usual desperate rantings of a disgruntled and jealous science community". “Unfortunately the science community has failed to move on and incorporate new-age technologies such as Homeopathy, to their considerable disadvantage,” he said. “Their slavish devotion to the outdated notions of experimental repeatability and double-blind trials has really slowed the development of many discoveries,” he claims. “If it works for them, it works. That’s how our customers see it,” he stated emphatically. How much does an Opad cost? Each Opad is absolutely free but each new owner is required to sign up for an instructional seminar in order to achieve HomeOstasis before being entrusted with their new partner in life. If the queues outside Sydney’s Ostore are any indication, then there will be no shortage of consumers willing to part with $599 to partner an Opad, starting next Monday. The Spirit of Atlantis, in a bottle. They say that the inhabitants of the Lost City of Atlantis never experienced sunburn or life-threatening sun cancers. They say the waters above them protected them from the Sun’s harmful rays. It has also long been known that skin-divers do not suffer from sunburn whilst swimmers just a few metres above them need to apply regular applications of expensive, chemical-based sun creams. With these facts in mind the boffins at None Laboratories set to work to develop and manufacture the World’s first completely safe and inexpensive UV protective sunscreen. They reasoned that if several metres of water could filter out the Sun’s UV rays then all they had to do was concentrate this effect so that a thin smear of water applied to the skin would have the same effect as many metres of ocean. 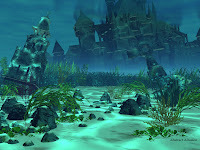 In yet another magical development they have taken a sample of water from 10 metres below the surface near to where Atlantis is believed to have been and, using classical homeopathic techniques, diluted it over and over to intensify its potency so that it is rated an incredible Factor minus 10m+. The result is a sunscreen so powerful that a few drops applied to the body on a dampened cloth will protect from the Sun’s damaging rays for up to 24 hours. That’s right: imagine being protected all day and all night too. To be marketed as 'TEN BELOW', we imagine it will be available in all good pharmacies soon. None Laboratories urgently requires donors in order to meet demand for the following products- DIGITUM and MEMORY BOOST. Simple same day surgery is all that is required. Good prices paid. Note: must be above average IQ in the case of Memory Boost donations. Free post-op speech lessons included. This blog may contain traces of nuts. After treatment many of Dr. None's patients donate unwanted items which Dr. None sells to further his research into Placebo Power. Contact Dr. None for a great deal on a used wheelchair, white cane or surgical prosthethis. One only used artificial limb, left leg, one owner, low kilometres. Suit one legged man or Rolf Harris impersonator. Don't wait any longer to harness the incredible power of the mind. Email Dr. None with your request for his amazing Placebo Power Pills or Elixers.